U.S. medical experts now say that everyone aged 15 to 65 - and all pregnant women - should be screened for HIV infection. The U.S. Preventive Services Task Force said Monday that people who are younger or older than those guidelines and are at increased risk for infection should also be screened. Right now, more than 1 million people are living with HIV in the US, but 20 to 25 percent of them don't know that they are infected, according to the USPTF. HIV is the virus that can lead to AIDS. The USPTF is a independent group of national experts in prevention that is authorized by Congress and supported by the U.S. Department of Health and Human Services. The USPTF makes recommendations about best practices in prevention. The earlier people are diagnosed, the USPTF said, the sooner they can get treatment and that reduces the risk of developing AIDS-related complications. Treatment has also been shown to reduce the risk of transmission. 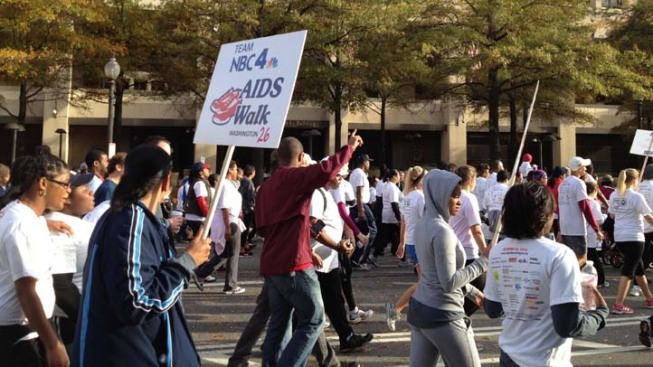 Here in the Washington region, AIDS is at epidemic levels, according to a district health report released earlier this year. While the number of new cases has dropped in recent years, the infection rate for heterosexual African-American women has doubled.